When you select cargo lashing belt for the lifting load, you must take the size, weight, shape of the load into consideration as well the lifting methods, limited working force, working environment, types of load. You must select the suitable cargo lashing belt that can not only hold the cargoes but also provide proper lifting methods. If multiple cargo lashing belts are used for loading, you must select the same standard cargo lashing belt. It can not be affected by the environment or the load. Regardless of the accessories or ratchet, you need to take the auxiliary accessories and lifting equipment into account. 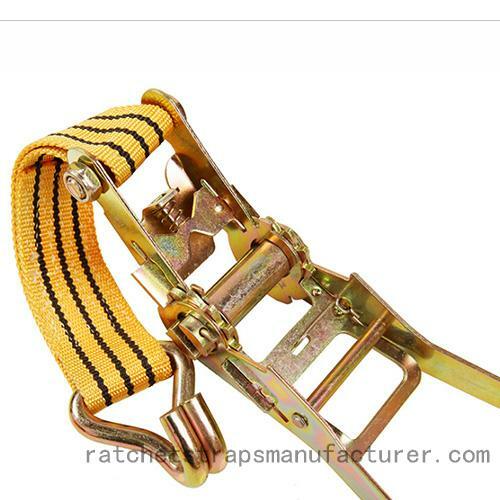 When it starts to lift, the correct use of cargo lashing belt is vert important, including install and connect it in a safe way. It can not be knotted or twisted. The cable stitching site must not be placed on a hook or lifting equipment and should be placed on the upright portion of the belt. In addition, take the cargo lashing belt away from hooks and locking angles to prevent damage to the label.